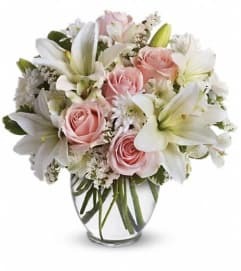 Your beautifully unique love deserves a beautifully unique bouquet. 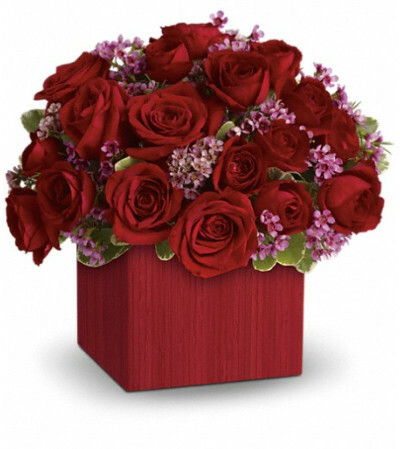 Steal her heart with this stunning display of 18 lavish red roses accented with sweet lavender waxflower in a chic bamboo box. 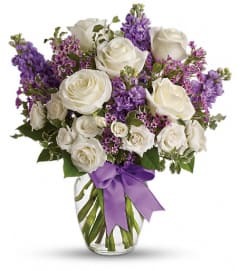 18 luscious red roses are accented with delicate lavender waxflower and variegated pittosporum. Delivered with a contemporary twist in a large red bamboo box.